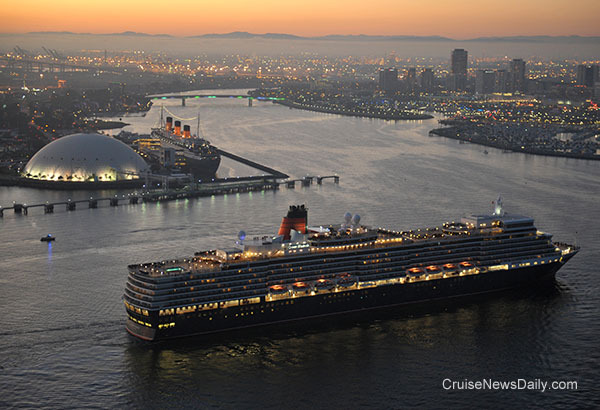 Tuesday (March 12, 2013) marked another Royal Rendezvous between Cunard Queens - one the youngest ship in the Cunard fleet, and the other a former queen. 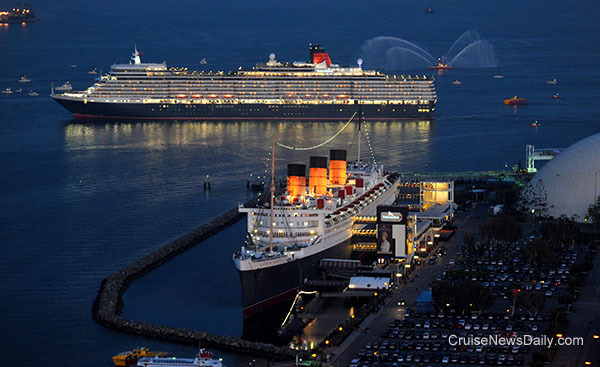 Queen Elizabeth met the original Queen Mary in Long Beach harbor where Queen Mary is permanently moored. 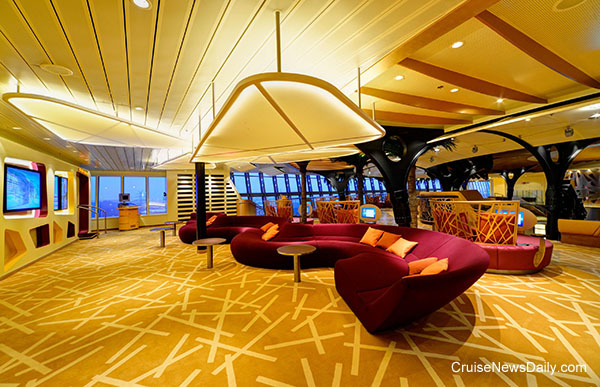 When Norwegian Getaway enters service, it will have a new feature its sister doesn't have. 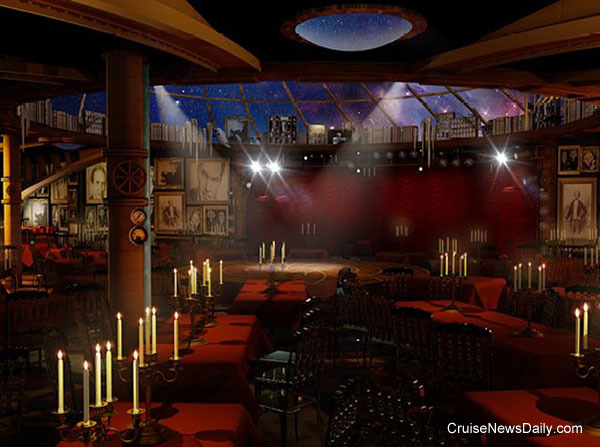 A magic-themed dinner theater will replace the circus-themed one on the older sister. 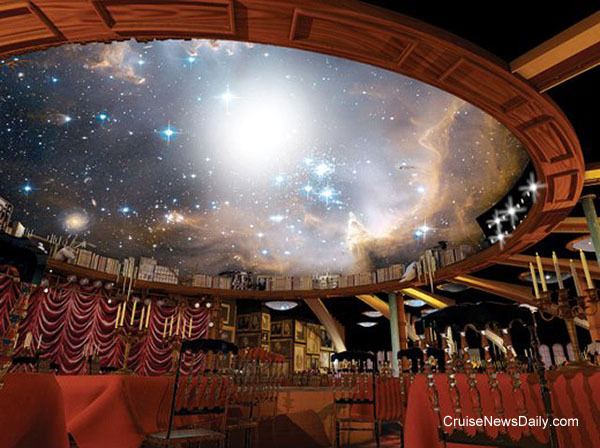 It will be called the Illusionarium and decorated quite elaborately to put patrons into the experience. 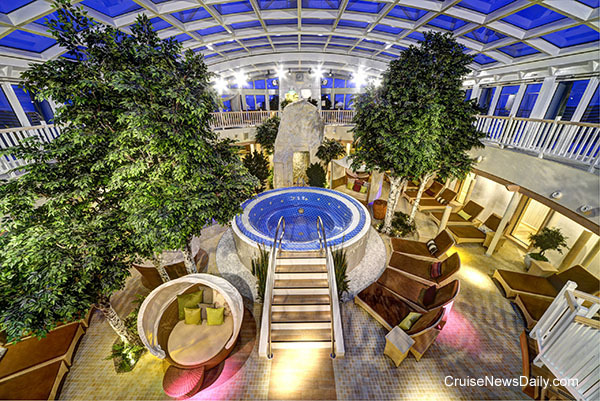 When Royal Princess sets sail this summer, there will be things to do around the clock. 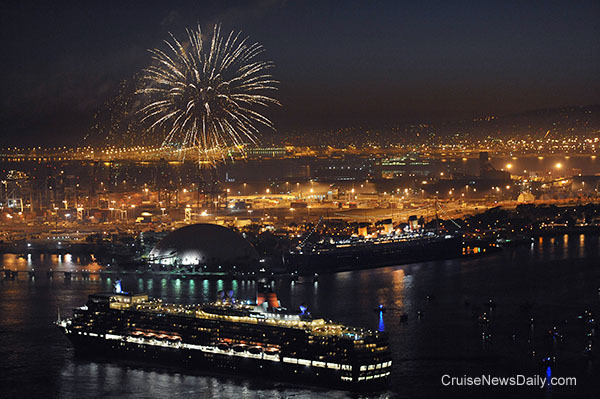 This video highlights the ship's nightlife activities. 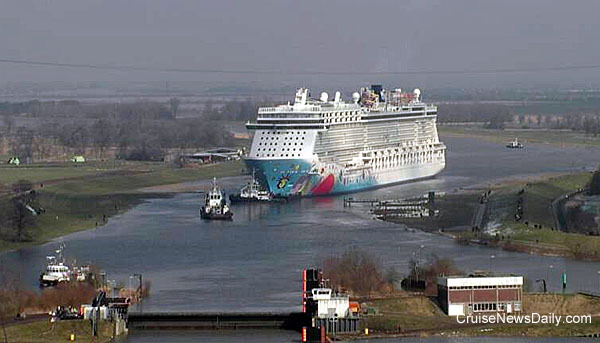 Norwegian Breakaway left Meyer Werft at Papenburg (Germany) Wednesday morning (March 13, 2013) navigating slowly backward down the Ems River to the sea. The passage will take until Thursday morning as it maneuvers among the narrow passages, some with only a couple of feet of clearance. The ship is shown here just after passing through the barrier in the yard's lagoon and into the river. Meyer Werft handed over AIDAstella to Carnival's AIDA brand today at Emden. 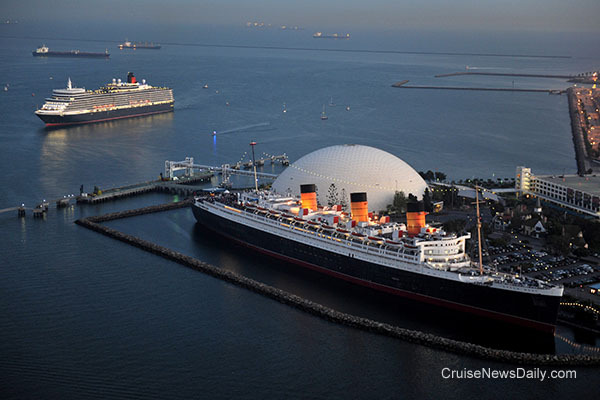 The 71,300-ton ship is the seventh and last in the class. 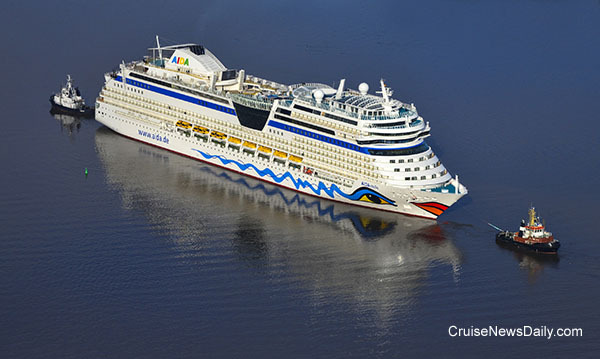 AIDAstella sailed to Hamburg this afternoon. It will be christened in Rostock on March 16, and enter service the next day. 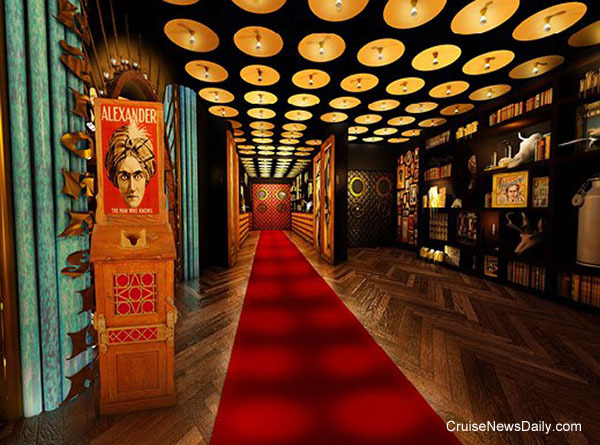 The complete story appeared in the March 11, 2013 edition of Cruise News Daily. 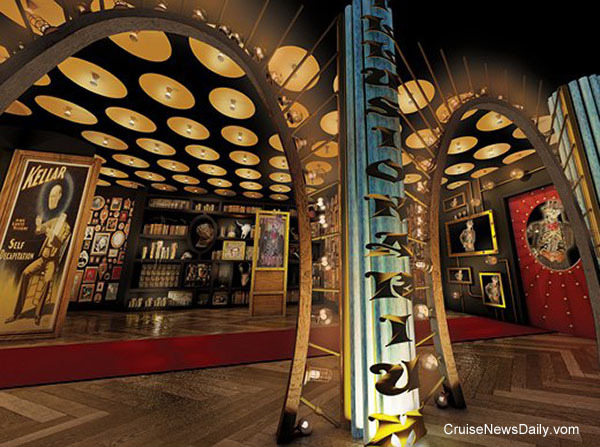 Photos courtesy of Meyer Werft.